Little did I know what a big part of my life my blog would become. Or how much I had to say about so much more than just bread. I’ve always had a sweet tooth, always been the one wanting to help out in the kitchen at parties, prepare and hand round nibbles and make cakes look beautiful on birthdays, but since starting this blog I’ve found an even greater joy in food – cooking and sharing it with those I love, researching recipes, writing stories and trying to make it look just as beautiful as it tastes. I’ve also discovered a whole community of food fanatics I never really knew existed. There are other people out there who think about food all day, who will happily help you discover hard to find ingredients, decipher instructions from a complicated recipe, share tips and tricks and ideas and passions, or simply while away the time talking about the food they love. And I don’t just mean chefs and professional foodies – although many have been so supportive and helpful over the last 12 months through emails, comments, tweets and the like – but normal, passionate people. One of the great joys of blogging about food. Yesterday saw the start of Lent; forty days and forty nights of fasting if you follow tradition, or – for what seems like a large percentage of the UK population nowadays – an excuse to make a second attempt at kicking the vice you failed to quit the previous month as a New Year’s resolution. I’m not a big fan of abstinence – a little of what you fancy surely does you good in moderation – and I’m sure that giving up chocolate for a month only serves as fuel some serious Easter egg bingeing when the time comes round, but I do quite like the idea of doing something new, tackling a project, picking something positive to carry me through the fairly bleak weeks of February and March and emerge triumphant at the start of Spring. So, to celebrate one year of blogging, and in the spirit of starting something new, I’m embarking on my first attempt at sourdough. After over a year of baking my own bread and getting really good results from both fresh and dried yeast, it’s time to take it old school. Reading the New Year’s resolutions on a number of blogs in January, I noticed that sourdough was a recurring fixation of the foodie community – people are fascinated by the strange creature that is the starter you have to nurture and feed, the incredible chemical reaction that results from a simple mixture of flour and water and the wonderful, chewy loaves themselves with their distinctive tangy taste. Sourdough isn’t something I felt comfortable jumping straight into. I wanted to feel confident in my bread making abilities before progressing onto this slightly more complex process, and I needed to be prepared that it might go wrong. During the working week I’m often out of the house for more than twelve hours at a time, meaning the potential to forget to feed my baby is quite high, I might miss some of its developments, or arrive home to find it has escaped its jar and spread across the kitchen (unlikely I’ll admit, but I’ve seen the sourdough monsters out there, they do exist . . .). I’m a bit of a perfectionist when it comes to my kitchen, so to experiment in such a potential disaster zone is quite a leap of faith for me. I’m not going to provide a recipe here – I’m only on Day One so who knows what will work and what won’t? 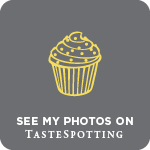 If you want to read something a bit more serious on all things sourdough, or follow another blogger’s experiments, I’d suggest taking a look at Tea & Cookies, Café Fernando, or two of my favourite UK based bread blogs, Zeb Bakes and Azelia’s Kitchen. I’m following a carefully laid out feeding plan from my Bourke Street Bakery recipe book, so here’s hoping it does me proud. Who knows what will be happening on this day in one year’s time? Hopefully I’ll be on my way to mastering the sourdough, with a lot of lovely loaves under my belt and another twelve months spent meeting new people, discovering new recipes and making new things. Only time will tell, but it feels like the start of something exciting. A lot can happen in a year. The start of greater things to come? How funny, I knew we started blogging about the same time but I didn’t realise you actually started the day before me! Congratulations of a year of blogging, I can’t wait to see what the next year brings you! Happy Birthday! I have been hanging around here for quite some time now, but didn’t realize it was a year already. 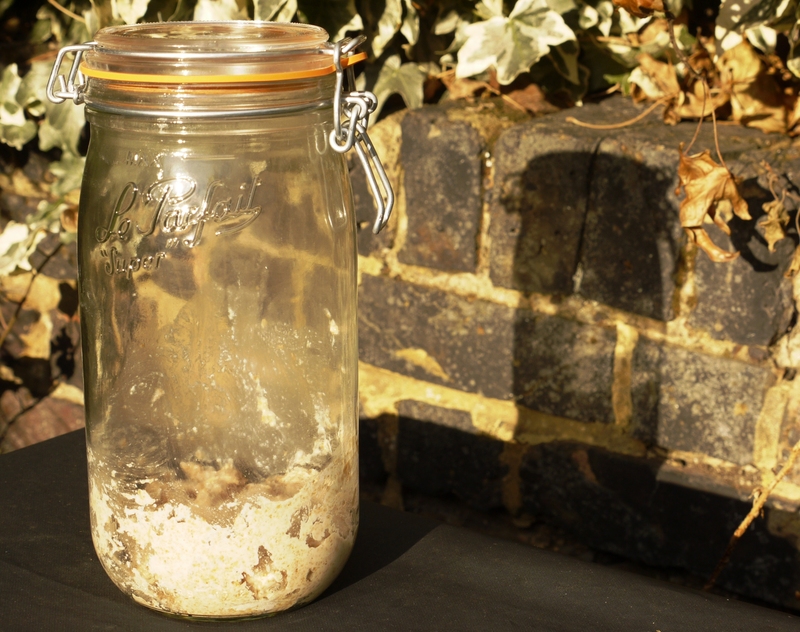 Looking forward to following the adventures of the sourdough starter. Happy ‘blog’ birthday! 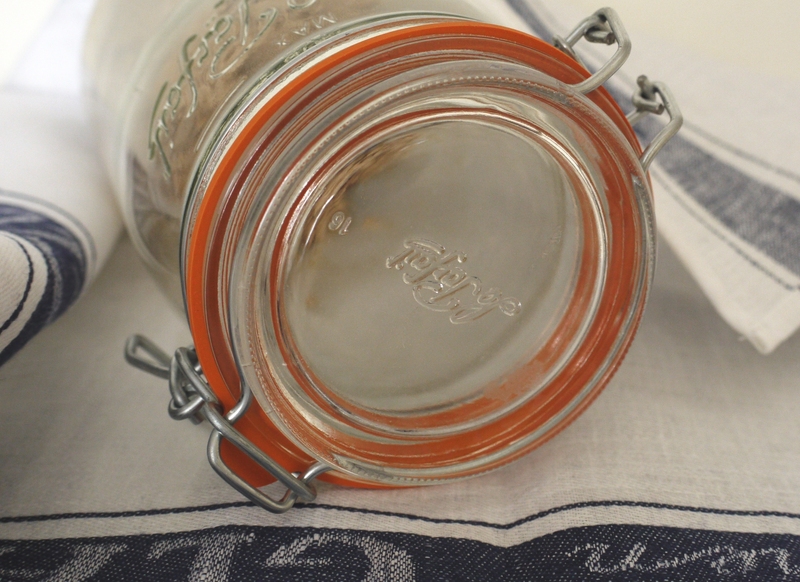 Looking forward to hearing how the sourdough starter goes. Congratulations on your anniversary. I’ve pretty much just started my own blog, so it’s great to see what I have to look forward to! Congratulations on one year of blogging, looking forward to the next! 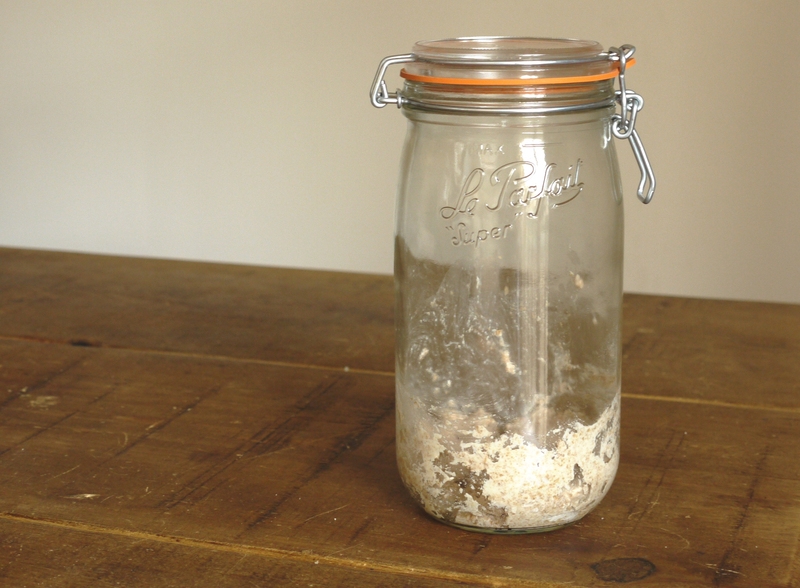 How funny – I too am planning to make my first ever sourdough starter next week! We’ll have to compare notes! Well done on your first year’s blogaversy! I know I am also coming up to one whole years blogging but have yet to check my dates. What an exciting project you have set yourself and one which i would love to join in on but know for sure will not manage due to the fact i am starting work after a few years off (Kids). I agree with everything you said about the food blogging community! I will be following this newest project with great interest; it’s always a delight when your posts pop up on my dashboard. Congratulations, and happy one year to you. Here’s to many more. I hope you have fun with the sourdough. I know I have! Happy 1st! I really love homemade breads, we have it all the time. My grandma used starters for making breads, and I love it! Joanna – thank you, I’ll let you know how I get on! Kathryn – thank you, and how funny that we started on practically the same day. The Single Gourmet & Traveller – thank you. Heather – good luck with your blog and here’s to a great year! Elly – definitely. Mine’s got a few bubbles already – so excited to see what happens! Laura – I’m a bit worried that I won’t find the time to look after it, but the programme I’m following is pretty simple so hopefully a few feeds here and there will keep it going! Helen – ah, thank you. Looking forward to the next year, and my sourdough experiments! Maja – thank you. My granny made amazing cakes but I’m not sure how often she’d make her own bread. There’s definitely some kind of baking gene in the family though! Happy blogiversary! I love that you’ve started something new to celebrate. Starters seem like a lot of fun. I’m looking forward to seeing your sourdough loaves over the next year! wonderful stuff, happy blog birthday!! I can’t believe you’ve only been blogging for a year. You’ve packed so much into that time and set the bar so very high in the process! 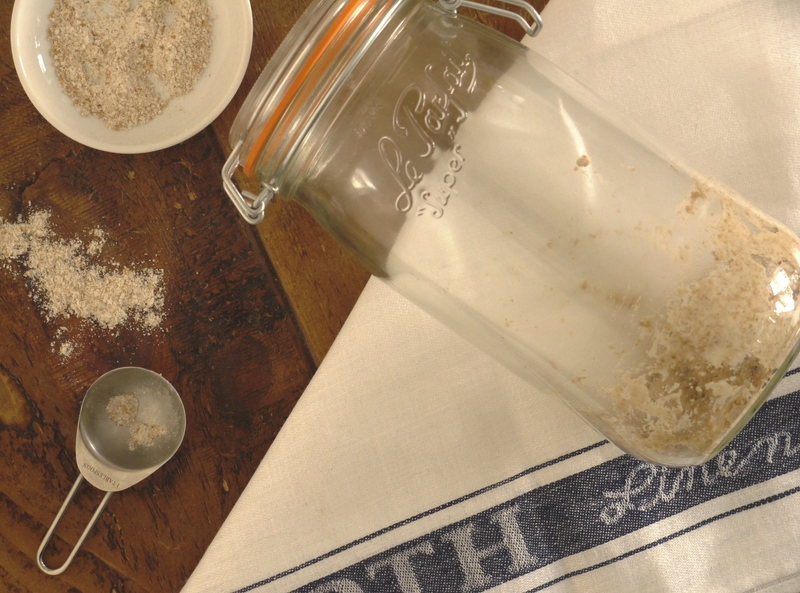 Here’s to lots more wonderful posts…and good luck with the sourdough! Happy Birthday! And I hope your next year of blogging is as rewarding, fun, and delicious as the first. Congrats on one year! And more adventures in bread! You have created a lovely space here in internet land, and I love stopping by. Congratulations! I am excited to hear more about your sourdough adventures. I hope it works out well for you! Congrats on your blogiversary 🙂 and good luck with the starter!!! Congratulations on a year of beautiful, beautiful posts. Miss South – ah, thank you! Tori – aw, thank you. I’ll be following your sourdough adventure with interest. I’d love to have the time (and more importantly, the inclination and faith!) to try it. Fingers crossed! Happy First Blogging Birthday! And good luck with the sour-dough too….I always love reading your blog and love the fact that you are still as enthusiastic one year on……. Congratulations on one year of blogging. How time flies!!! I truly enjoy reading your kitchen adventures and I can’t believe it’s been a year already. As for your sourdough, best of luck with it. I’ve not tried making my own sourdough starter but I did see a cheats sourdough in Alice Harts vegetarian I just had to try. The end result was a bit disappointing though, but I’m sure that’s because I did something wrong. Now I’m going back to the beginning and trying to master bread before moving to sourdough again. I’ll be interested to hear how your sourdough turns out. Claire – Fingers tightly crossed! 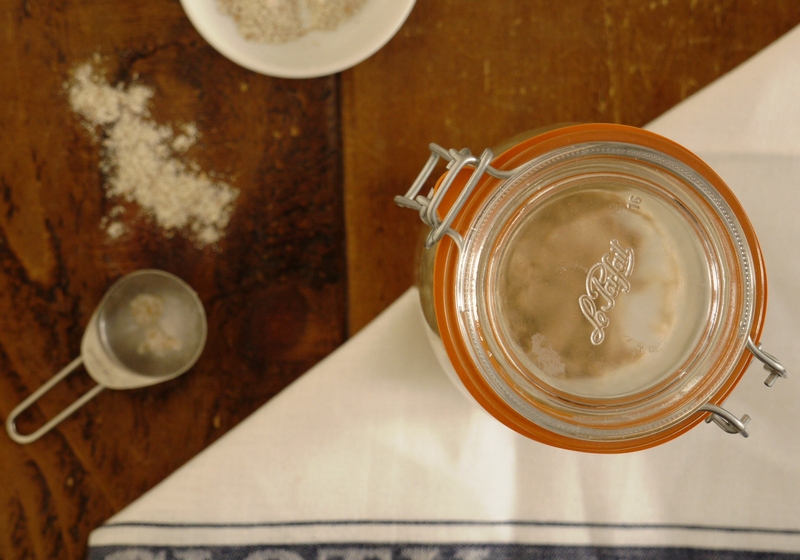 Jennifer – thank you, and looking forward to sharing sourdough tips over the coming year! littleloaf, i’m so happy for you that you’ve had such a successful first year and that you are part of the foodie community! congrats and happy baking and making for the future! Helen – it’s SO much fun. Who knew it would become such a big part of my life?! Lisa – aw thank you 🙂 And yes, I do need to keep on top of my starter after the initial excitement…I’ll do my very best! Oh the joys of sourdough! You won’t ever go back, don’t say I didn’t warn you. My wild yeast starter even has her own name! And she produces the best bread. THe best advice i was given was to treat your starter as you would a beloved pet. Love it, take care of it and it will take care of you. I wish you luck and wonderful bread! Well, first of all congratulations for your first year, I look forward to reading your new posts and love following you on all the social networks. Thanks to the latter I have been following your progress with the sourdough starter and am sure you will obtain the hoped for results. Your photographs are really beautiful (I just read the tea and biscuit ice cream and forgot to write it there). Delicio 8 – I’m definitely trying to take as good care of it as I can. Baking my first loaf tomorrow so fingers crossed! Nuts About Food – thank you! Am really enjoying using a proper camera but got so much to learn. Yay, congratulations on passing your first year. Isn’t it amazing how a blog can quite change your life? Yours is fantastic so I hope to see it for many years to come. Great recipes, great photos and lovely stories to accompany them. Good luck with your sourdough. Don’t know where I’d be without mine now. Tandy – thank you, sourdough photos coming this week I promise! Happy blog birthday! And good luck with the starter. Yours look much thicker than mine. I guess it has to do with the feeding plan you are following. Many people recommended the Bourke Street Bakery method, so I’m curious to see how it will turn out. I’ve got the recipe in the Moro cookbook – have been a bit shy starting but now I must right – it’ll be so worth it !! Wonderful! Congrats to a new sourdough addict! I’ve been baking with wild yeast for a year now and I can’t go back to store-bought bread… Even if I live in Sydney… So close to the Bourke st bakery! Hi, I found my way here after finding Zebbakes’s recipe for 100% Rye last week, it’s worked beautifully. I’ve been experimenting with sourdough bread for a year since my wife was given a recipe for German Friendship Cake and a sourdough culture called Herman. I’d been using the sponge method with dried yeast which had produced better results than the usual mix it all together and knead for ages that I’d first tried. I took 3 tbsp of Herman, stirred them into a sponge of 8 oz flour & 10 oz water and then took out 3 tbsp of the sponge and reserved it for the next loaf. I’ve transmitted it like this 3x pw. ever since whilst refining my kneading and timing. I’ve been doing the same thing with beer yeast for years so it comes naturally. I also use some of my different coloured malts for special loaves, crystal rye malt makes a good black bread but it’s not always available so the more common crystal barley malt serves in its place. I can’t imagine eating shop bought bread on any regular basis anymore, knowing the taste of each slice in advance would be boring. Right now I’ve a 3:1 brown/seeded multigrain in its first prove, I shall shape it into a loaf later, let it rise while I sleep and bake it first thing tomorrow.